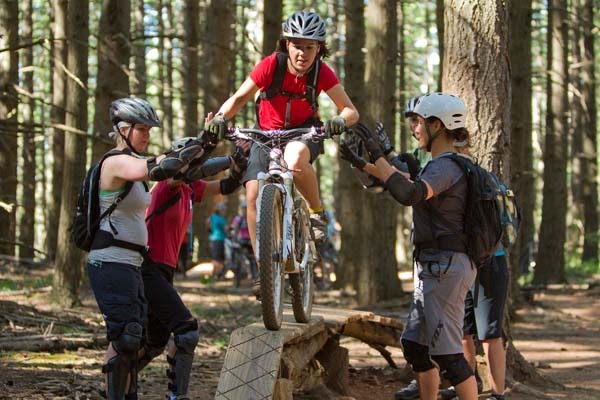 Trek Bicycle announced open online registration for all 2011 Trek Dirt Series dates and locations today, confirming the company's strong commitment to the advancement of women in mountain biking. Designed to help riders of all experience levels, particularly women, take their cross-country, downhill and freeride skills to the next level, the Trek Dirt Series will travel to 13 locations throughout Western Canada and the U.S. providing locale-specific beginner, intermediate, and advanced instruction at each weekend-long camp. Complete schedules and registration information can be found at www.dirtseries.com. "I'm beyond excited to partner with Trek for a second year in a row," remarked Whistler-based Dirt Series camp founder Candace Shadley. "With Trek's support, we've added two new locations - Portland, Oregon, and Winter Park, Colorado - to our camp schedule and have assembled a truly remarkable group of professional instructors." Already in its eleventh year of existence, the Trek Dirt Series delivers world-class instruction with the goal of developing skills through a supportive, step-by-step process that helps riders move beyond their fears to truly enjoy the fun of mountain biking. 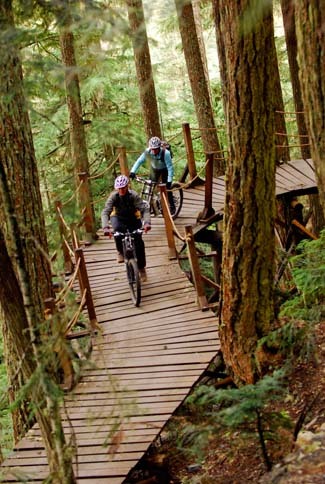 Over 7,000 riders, both male and female, have pedaled through the program since its inception in 2001, making the Trek Dirt Series one of the oldest and most popular MTB skills camps in existence. "Trek is proud to be involved in a program that so positively affects women throughout North America," said Trek Women Brand Manager Leslie Prevish. "As part of our commitment, the Trek Women Demo Team will be on hand at every camp in 2011, providing riders with expert advice and the chance to experience Trek's cutting-edge mountain bike technologies." Online registration for all Trek Dirt Series events opens February 1st at www.dirtseries.com. Interested parties are encouraged to register for their desired date and location sooner rather than later as camps have historically filled up fast. Female cyclists are invited to interact with Trek Women online at www.trekbikes.com/women and on the Trek Women Facebook page at www.facebook.com/trekwomen. "The Trek Dirt Series is a perfect physical extension of the Trek Women online community," continued Prevish. "Our goal is to provide women cyclists with information, encouragement and support both on the bike and online."